No doubt, the pre-fall 2017 transitional season will be all about the Forties and the Seventies. 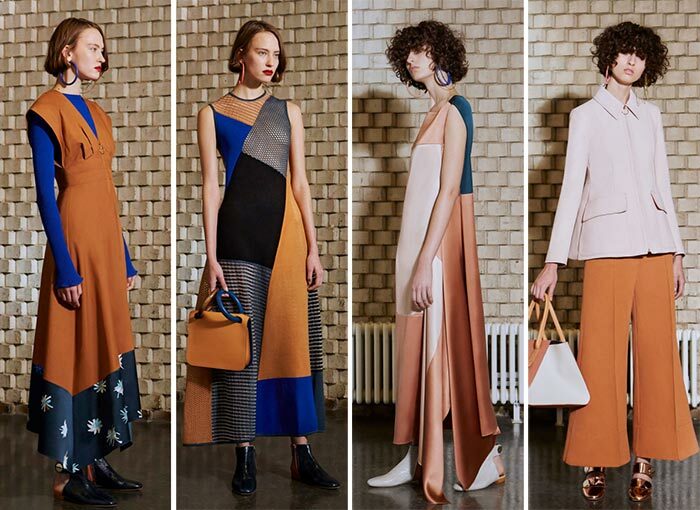 Roksanda Ilincic just got immersed in this vintage fashion era as well, releasing the Roksanda pre-fall 2017 collection that is all about the Seventies and geometry. While looking for valid sources of inspiration for her pre-fall 2017 collection, Roksanda hopelessly fell in love with William Eggleston’s portraits and pictures from the Seventies, which forever changed the world of art for two different main reasons. Internationally credited as the man who helped color photography break the boundaries of photography and eventually become a recognized and legitimate form of art, William Eggleston spent most of his days during the Seventies along with iconic artists, such as Andy Warhol and Viva, with whom he often collaborated. During those years, he also developed his signature colorful, yet always subtly gloomy aesthetics, which often took him to deserted areas, actual deserts or old gas stations. 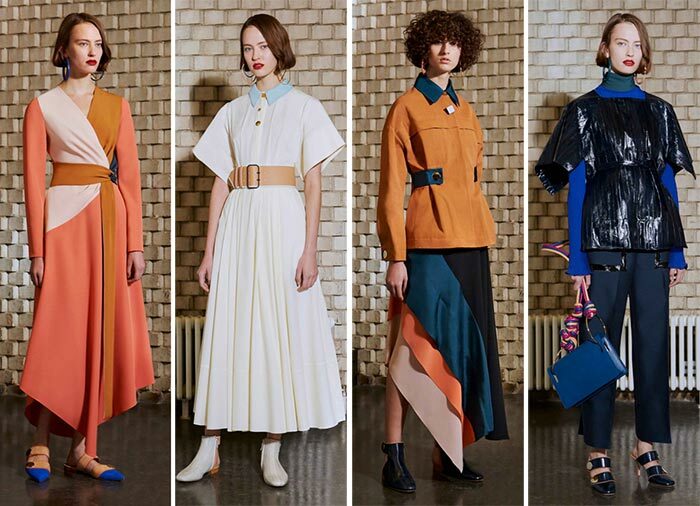 Roksanda specifically took Eggleston’s darkest scenarios and tried to translate them to the 38-piece Roksanda pre-fall 2017 collection that, aside from dismay and minimal cuts, shows Eggleston’s fascination with color, too. 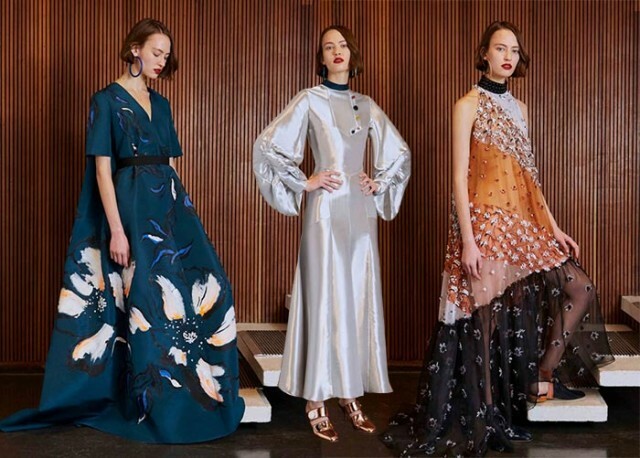 Compared to other pre-fall 2017 collections, Roksanda’s is definitely more variegated in terms of colors, as it not only explores delicate pastel hues such as light blue (which is the collection’s absolute protagonist), but also ventures in both earthy-toned and darker shades as well, often mixing and matching them together in either starry or abstract patterns. 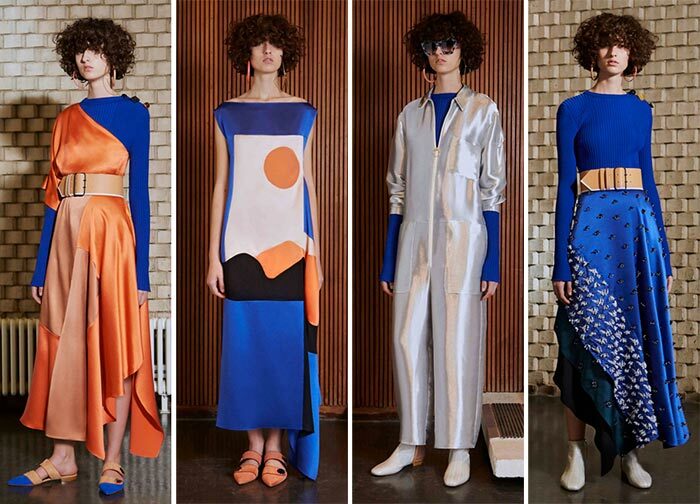 Concerning the figures, lines and cuts, Roksanda appears to be extremely coherent with geometry, with flared clean cuts and dramatically sharp volumes dominating the scene. 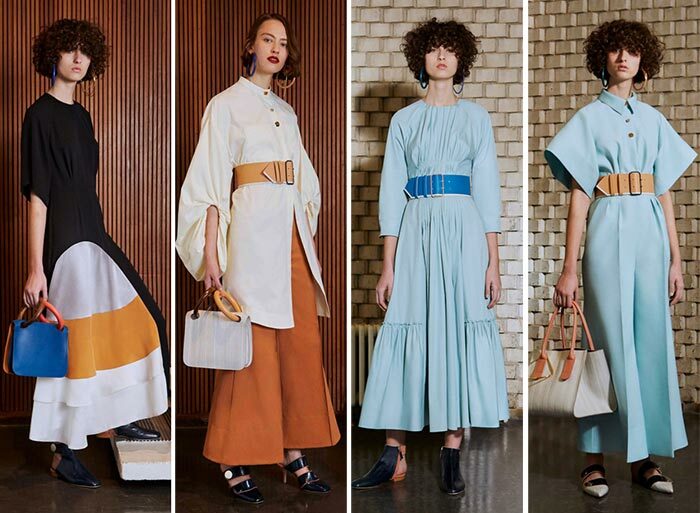 Aside from the long, textured yet quite airy long dresses, the Roksanda pre-fall 2017 collection is all about tunics and jackets/coats, to which the fashion designer attached either colored patchworks or structured butterfly sleeves. The latter added a sort of contemporary, if not even conceptual kind of elegance to the collection, which also reached its peak with the oversized tunics and coats with Nehru collars. Belts cinched at the waists play a huge role throughout the whole collection, too, and got here combined and balanced with bon ton button-down collars and pointy shoes. This Roksanda pre-fall 2017 collection’s most revolutionary elements are the detailing and material used. The former surely reaches its climax with the 3D desert flower appliqués, which again come from Egglestone’s legacy, while the latter surprises us not only with conventionally leather and wool materials, but also with patches of modern Neoprene. 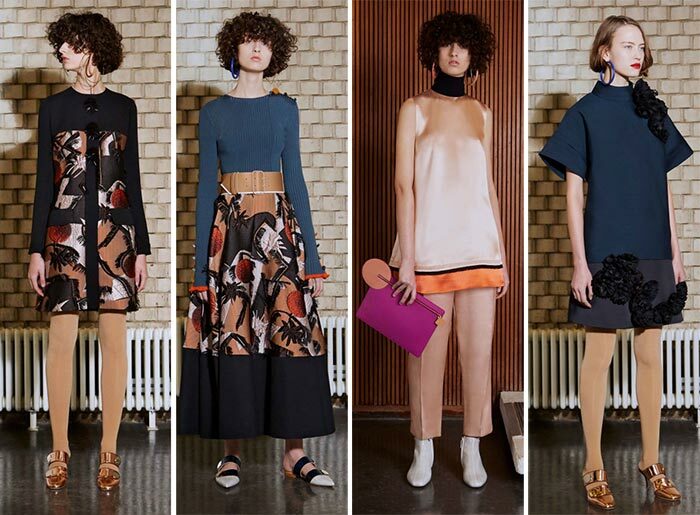 With this Roksanda pre-fall 2017 collection being so conceptual and revolutionary, we expect imposing things from the upcoming Roksanda FW 2017-18 collection, too!